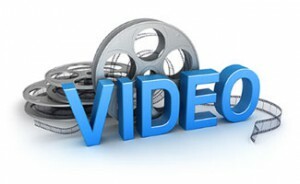 How can using video on your website improve your Internet marketing? It is widely accepted that video is amongst the most popular and widely enjoyed content on the web. Millions of people all around the world enjoy watching video content and this huge growth in popularity is extremely useful to an Internet marketer in that it can provide immense benefits particularly in terms of click conversions and traffic. Companies that utilise video in their websites have consistently reported rapid increases in sales of their products and services. Videos more effectively and in a more entertaining manner deliver necessary information on products and services. For example, if you have an e-commerce website and sell products and if a potential buyer can view the product in action or hear you waxing lyrical about the advantages of using product then they are far more likely to buy from you. The product can be made far more appealing also if you can communicate your enthusiasm for it in the video. Recent changes particularly in Google’s algorithm as well as other major search engines have demonstrated that the search engines welcome video content. The fact is that a website containing much video content is more likely to rank highly on the most important search engines and lead to more conversions and sales. This has been proven in recent studies. Internet marketers have always looked for new ways to create stronger links and bonds with potential clients. On the web today, a really well presented and engaging video can definitely strengthen these bonds. How can Dark Sea Web Design help you with your video marketing? Video marketing will only work when carried out with expert strategy. We can help storyboard a video (whether using film footage or creating a slide show) to make it more imaginative and compelling and most importantly we can optimise the video for maximum effectiveness on the main search engines and particularly for inclusion on YouTube. "Our website and marketing strategies have been developed and implemented working closely with Dark Sea Web and it is without doubt their expertise and hard work that has had a very profound effect on our ever increasing sales. We do not need to employ salesmen or worry about marketing as this is taken care of for us and we can concentrate on the business"